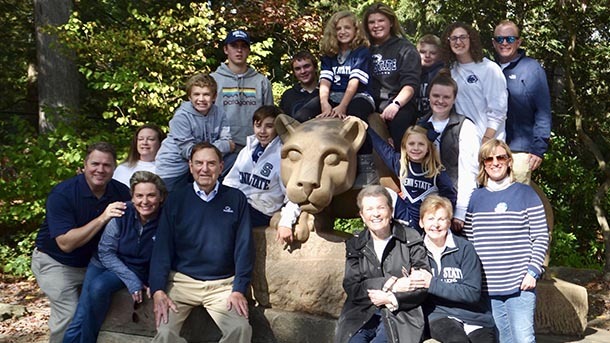 Charles Schneider and his late wife, Enid, pictured with their children and grandchildren at the Nittany Lion Shrine. Two of Schneider’s grandchildren are currently attending Penn State. Service enterprise engineering (SEE) at Penn State has seen steady growth ever since its advisory board was established at Schneider’s urging in 2003, and a milestone was reached in summer 2018 when a SEE minor became available to undergraduate students. And with Schneider’s gift, SEE 360 will grow even larger, with bachelor’s and master’s degrees in SEE made available in the near future.